And you know there’s so much more out there for you... figuratively & literally. You don’t have to squeeze your globe-trotting into just two weeks a year. Luxurious 5-star hotels (with to die for spas), exotic meals and rubbing elbows with high-level professionals at exclusive events (midnight viewing at the Smithsonian, anyone?) aren’t novelties, but the norm. And living a global lifestyle doesn’t mean leaving your stable salary, corporate clout or fabulous family & friends behind. And you can get paid to experience it? Love seeing new places but feel like two weeks of vacation (and two annual conferences) just don’t cut it. Start planning your next trip 5 minutes after your plane lands from your last trip because honestly, you can’t wait to ‘get away’ again. Love your husband, your house and your job (most days), but feel like you’re ‘coasting’ and ready for something more challenging. Have a nagging feeling there’s ‘more’ to life than negotiating deals, setting and approving budgets, leading team meetings and reading passive aggressive emails. Then it’s about time you had a career that (literally) puts the whole world at your fingertips. 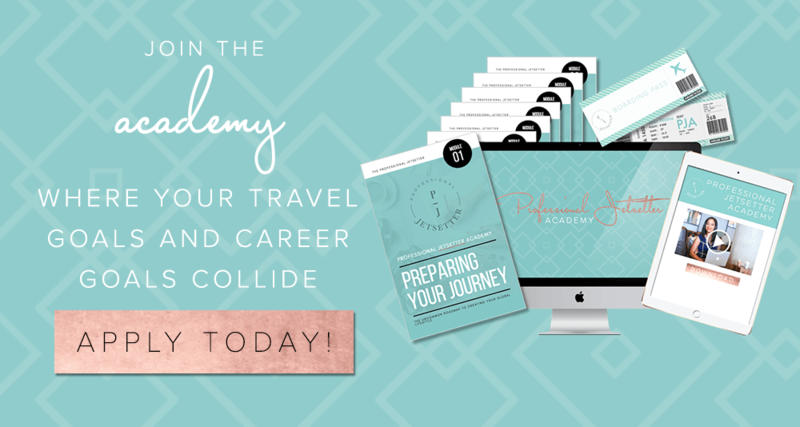 Hi, I’m Kimberly Ramsawak, founder of Professional Jetsetter, where I help savvy, smart, professional women turn vacationing into their vocations with a dream career in travel, tourism or hospitality. I’m a lot like you: a seriously driven woman with a serious case of wanderlust, who just-so-happened to find a way to get paid to fly around the globe, visit exotic locales + immerse myself in other cultures as a career for over 15 years. 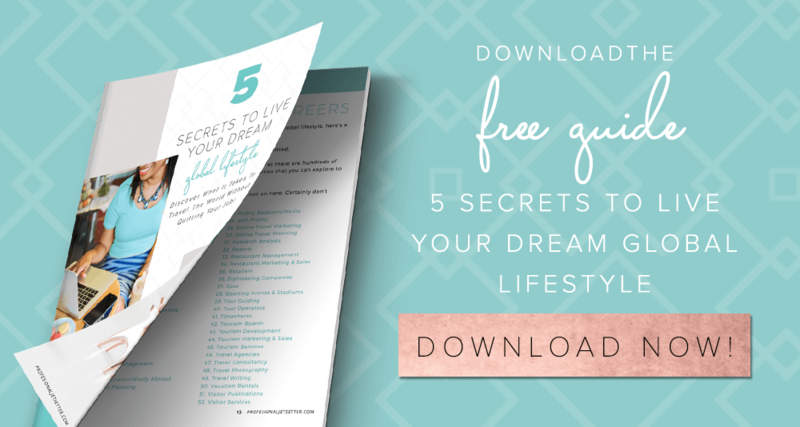 ...Without giving up my income (in fact, I made more), career path (I used skills I already had) or comforts of home – like my family, house and gorgeous bed (I adore modern home decor). And you can too, when you become a Professional Jetsetter. Then pack your Louis bags beautiful, and let me help you find the perfect travel career for you – one that makes your heart beat a little faster, your soul feel a little lighter and your wallet just a little fatter. You’re about to go on the journey of a lifetime.